Enjoy 5-star luxury, dazzling sights and thrilling experiences during an unforgettable stay at the exquisite Stella Di Mare Dubai Marina. This superb property offers easy access to a host of popular attractions, with the Mall of the Emirates, the Emirates Golf Course and Dubai Marina Mall all a short drive away, and the Jumeirah Beach Residence within walking distance. The hotel itself features stylish, modern accommodation, impressive leisure amenities and a number of wonderful dining options. A shuttle service runs from the Stella Di Mare Dubai Marina to the beach. The Stella Di Mare Dubai Marina is close to a number of shops and restaurants and a 10-minute walk from the Jumeirah Beach Residence. A shuttle service also runs to the malls. 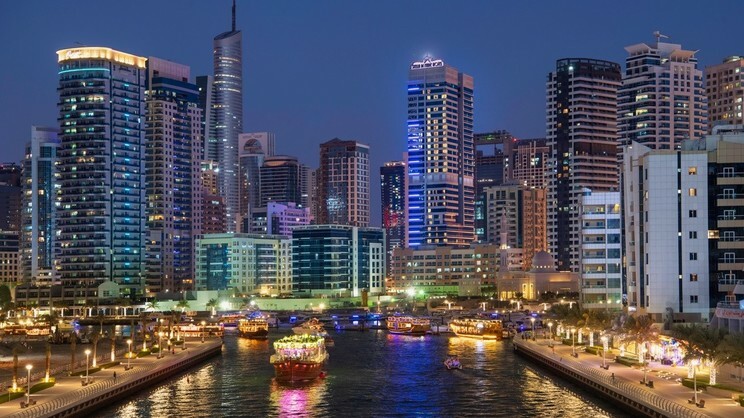 Dubai International Airport is approximately 35km away from the Stella Di Mare Dubai Marina.